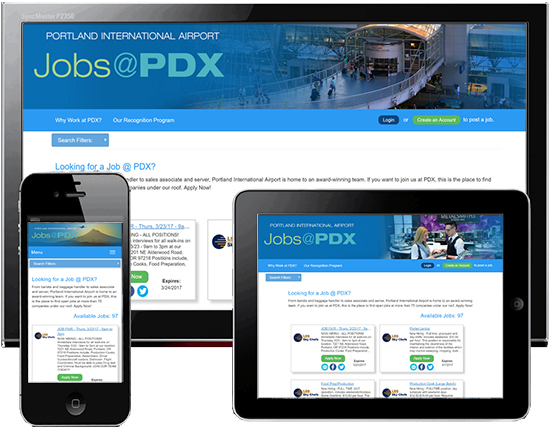 I currently live and work in Portland, Oregon as the Application Architect and Manager of Digital Development for the Port of Portland. I manage a team of two Senior Web Developers and one Product Owner, and together we work with the Brand Manager and Digital Design Team to plan, design, develop, and test internal and external applications for the Port. We are building an end-to-end full-stack solution of client applications consuming data from Microservices through an API Gateway, and all projects are in a Continuous Integration and Delivery pipeline using an Agile SCRUM workflow. I am also a freelance web and software application developer. Contact me below if you would like to discuss how I might be able to help with your business needs. Beautiful, responsive design backed by S.O.L.I.D. code. Isn’t that how it should be? If you’re going to do something, do it right the first time. Architected and built custom intranet to service over 800 employees by providing pertinent information including internal communications, policies & forms, department FAQ's, employee locations, job information and contact info. Worked with Graphic Designer Emily Tate to create clean, beautiful, useful web presence for local boutique home furnishings store. Developed responsive site for mobile, tablet, and PC, and integrated with a 3rd party POS system - Lightspeed Webstore, to provide an end-to-end eCommerce experience including inventory control and shipping. 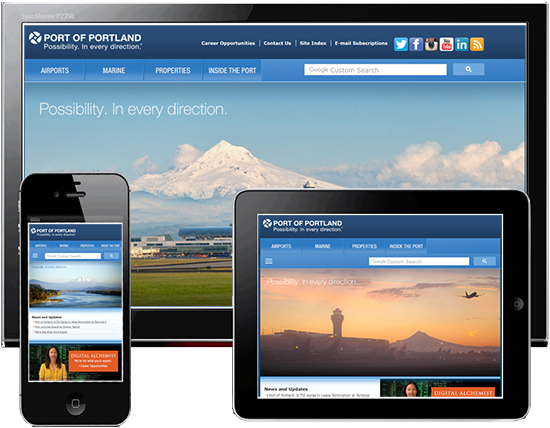 Lead the redevelopment of the Port of Portland public agency website, which gets over 1 million page views per month, from classic ASP into ASP.NET MVC using Visual Studio. Designed and built architecture and full-stack end-to-end solution to provide dynamic content and responsive layout. Built and consumed web services over secure network infrastructure using RESTful API's. 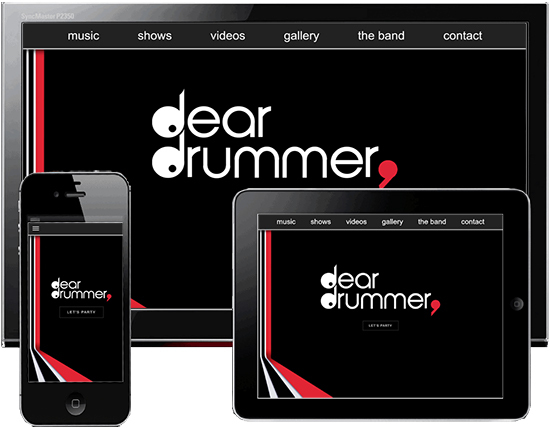 Designed and built custom SPA web application for Portland party rock band, Dear Drummer. Planned, designed, and built entire application in C# MVC with parallax, waypoints, and a custom CMS for maintaining show and contact information. 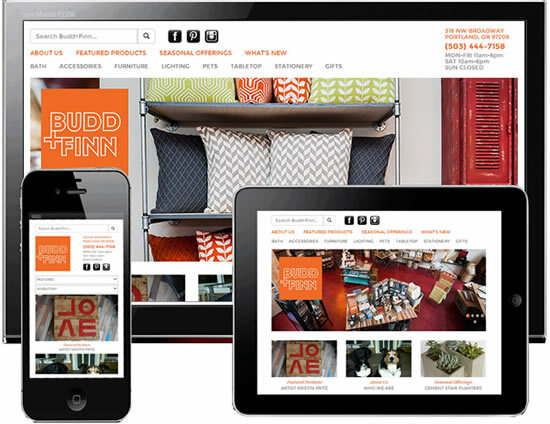 Worked with Graphic Designer to create clean, beautiful, useful web presence for local boutique home furnishings store. Developed responsive site for mobile, tablet, and PC, and built custom Content Management System for owner to maintain products and information. Also coordinated with the business owners to launch website in tandem with business goals. 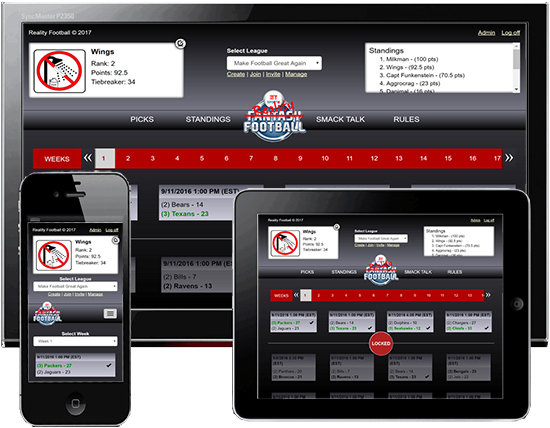 Created a game which is a spin-off from Fantasy Football. Worked with Product Owner to establish rules of the game and used those rules to drive requirements and design. Implemented Windows Identity 2.0 for Authentication, utilized Code-First development for managing database schema changes, and deployed to Windows Azure. We were tasked with creating a new Corporate Intranet to overhaul the 8 year-old brittle maintenance nightmare that was the old intranet. We had no choice but to start from scratch, because the codebase that was in production was not the same codebase in source control, and it was not built with OOP best practices, to say the least. We started by sending out a few company-wide surveys, asking about what they liked or didn’t like about the existing intranet - we call it Navigator - and perhaps some new features that they have seen from other companies or with other tools. Our response was underwhelming, and we quickly realized that a lot of non-technical people who don't really think about these things like we do, don't really know what is even possible, let alone what they may want. So we took a stab at it. After a lot of research, requirements gathering, and infrastructure build-out, we finally settled on an overall design and organization of the content. 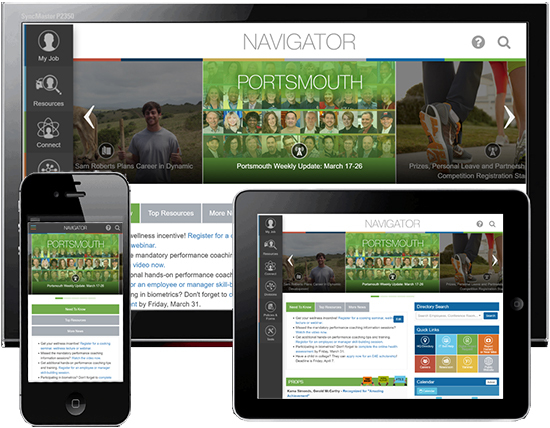 An elegant, branded Intranet that is every employee's default page. Users can add, remove, re-arrange and sort from a variety of configurable Widgets, and we have analytics about how people are using them. Single Sign-On using ADFS, a CMS utilizing SharePoint 2016, and a custom client layer built in C# MVC. We built out a primary web client, API Gateway, and host of Microservices; one microservice per disperate database to control permissions and access, and serve data as a RESTful API using Microsoft API routing best practices. Our most widely used tool, the Directory, allows authenticated users to find other employees, conference rooms, and facilities, where we render the location as a geographical X-Y coordinate on a map, served in real-time from our GIS team's data. We enacted a workflow and process to maintain employee data, from HR entering new hires into the payroll system, and having that flow gracefully into Active Directory, to being replicated with AD in Azure. Everyone can maintain their own content, especially documents such as Policies & Procedures, Forms, and other department specific documents. We worked with our Internal Communications Manager to be build tools that enable her to keep employees informed by writing blog-style articles - uploading, dragging, and resizing images for each article, and admin pages to add, edit, or delete all articles. Each widget is entirely self-contained and independent from anything else. This allows easier support and maintenance, as well as development of new widgets. Users can add, remove, or rearrange widgets however they want with a simple drag-and-drop interface. Have a question or comment, or an idea for an application you need help bulding? Get in touch! I'm sorry, something went wrong sending this email. Please ensure you have filled everything out and try again.